If you still don’t know, Bacolod is famous for their Chicken Inasal (Does Bacolod Chicken Inasal ring a bell?). 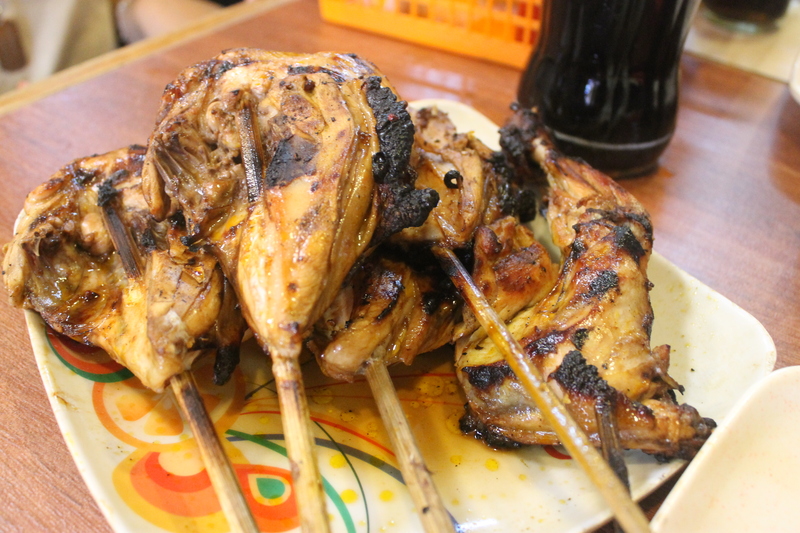 In Bacolod there is a stretch of eateries that serve Inasal. I highly recommend Aida’s, because their Inasal is big and juicy! It’s also best if you’ll eat using your hands! Eat like a local. There are some news, though, (as of this year) that they’ll be closing soon because SM bought the land to expand the mall. Too bad if that’s true. 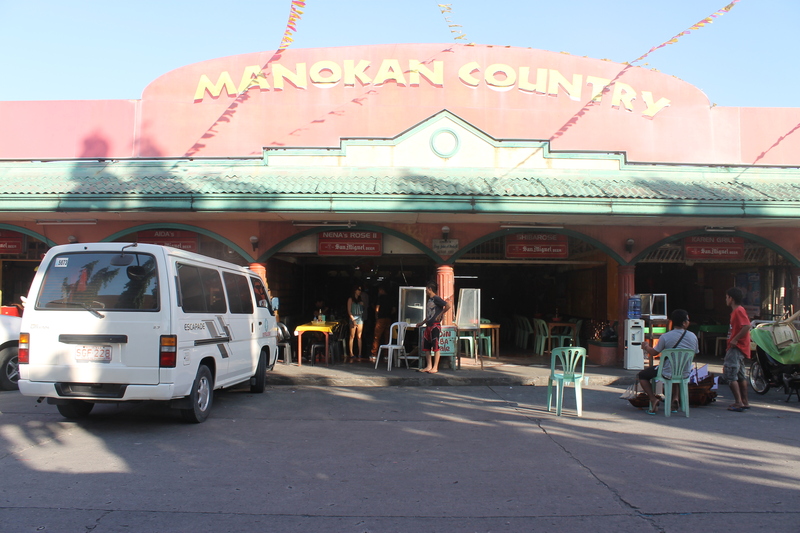 These two are the famous cake shops in Bacolod. I became aware of Calea’s existence when I saw a friend posted it on Facebook and I did a screenshot of it and promised myself I will try it as well. I learned about Felicia’s when I did my research. 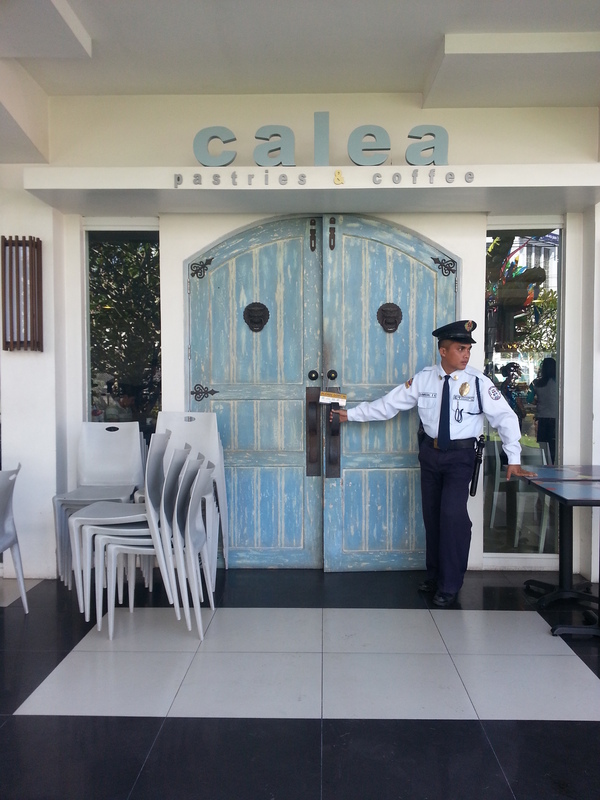 It seems that it is the strongest competitor of Calea in Bacolod. These two are located across each other in Lacson St. 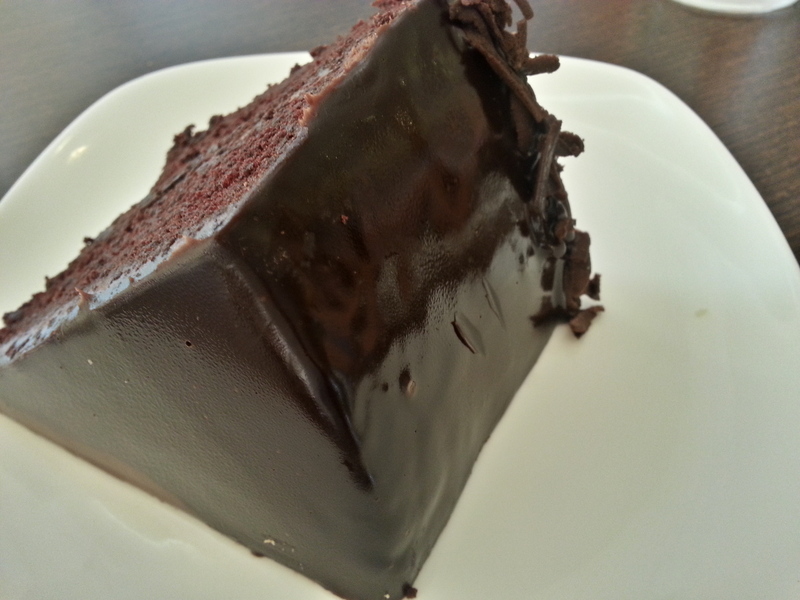 Personally, I prefer Calea over Felicia’s. 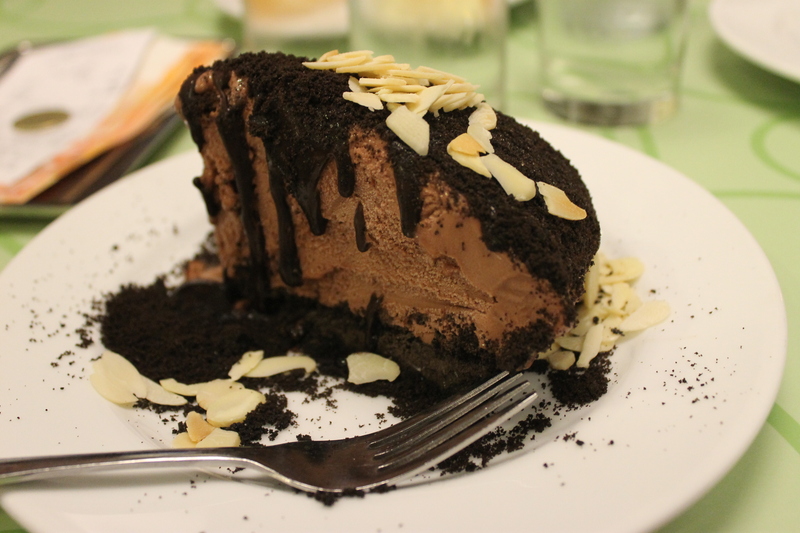 Calea’s best seller is the Mud Pie, while Felicia is famous for their chocolate cake. There are also a list of cake flavors that you can bring home as pasalubong. This is the door to the cakes heaven! 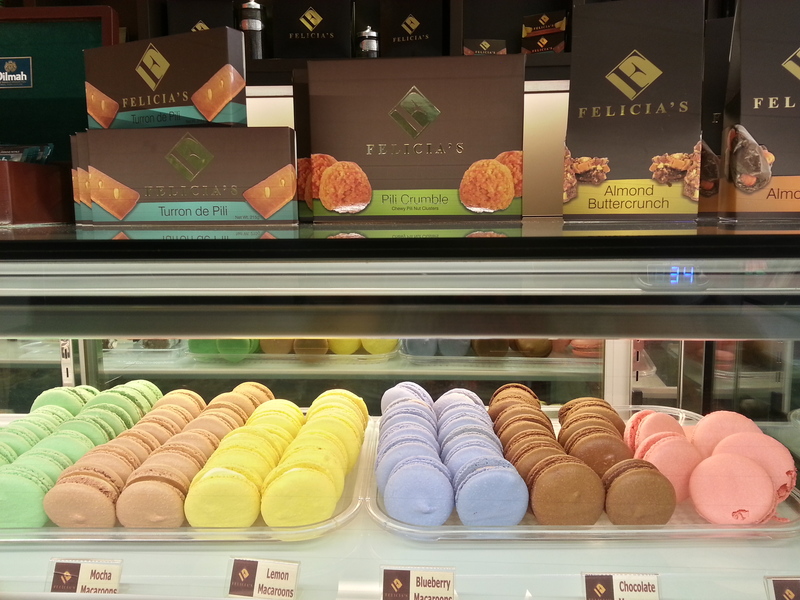 Felicia’s is located at 6th Lacson Street, DOLL Building, Robinsons Place Central Walk & The District – Ayala Northpoint. We pass by this restaurant a lot of times before but we never really think of trying it out. From the outside, it looks like a very fancy restaurant, with its lengthy windows and beautifully designed curtains, you’ll definitely get an impression that it might be pricey. But the last time we went to Bacolod, we went for it and was surprised by how affordable the foods are! The one on the photo is their version of Porkchop ala Bicol Express and it was the best porkchop/bicol express I have tasted. No kidding. When I took my first bite, I was like “Pucha! Ang sarap!” and repeated it for 3 or more times. This is one of the restaurants that I’ll definitely go back to and I’ll highly recommend to anyone who’s going to Bacolod. Don’t miss this restaurant. Kristin is one of the restaurants located along Lacson St. It has a nice interior and is spacious inside. We’ve ordered Crispy Pata and Sinigang na Baboy then (it was back in October 2013, it’s hard for me to remember exactly what it taste like, but) I can remember that it was delicious. We’ve consumed everything! And even ordered extra rice. Though, It’s not something that wow-ed me like 21 restaurant, still it was a good experience. 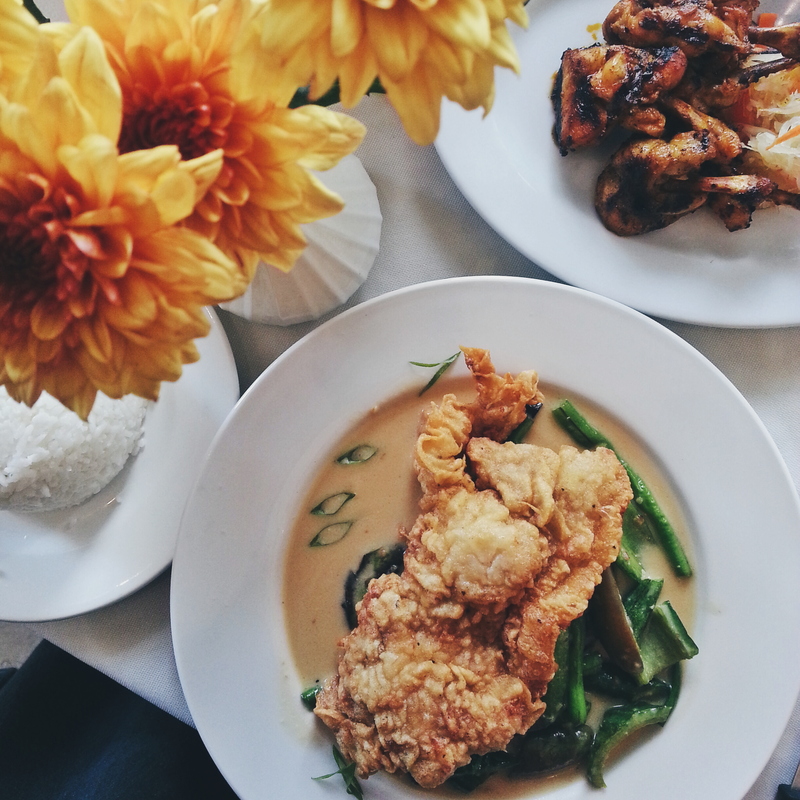 This is also one of the must-try restaurants in Bacolod. This is the counterpart of Dampa here in Manila. They have seafoods that you can order and they will cook it for you. 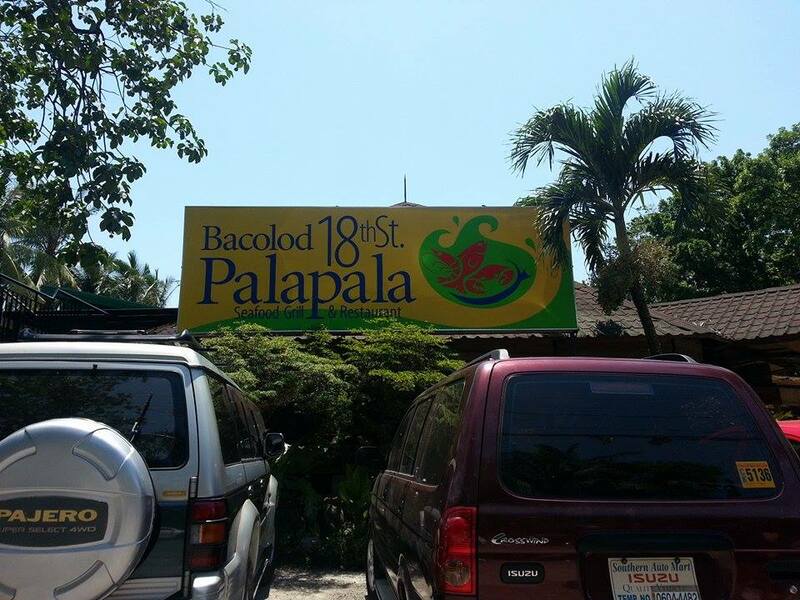 I cannot say that this is better than our Dampa here in Manila, but if it just happens that you’re in Bacolod and you are craving for seafoods, you can head over to 18th St. Pala-Pala. 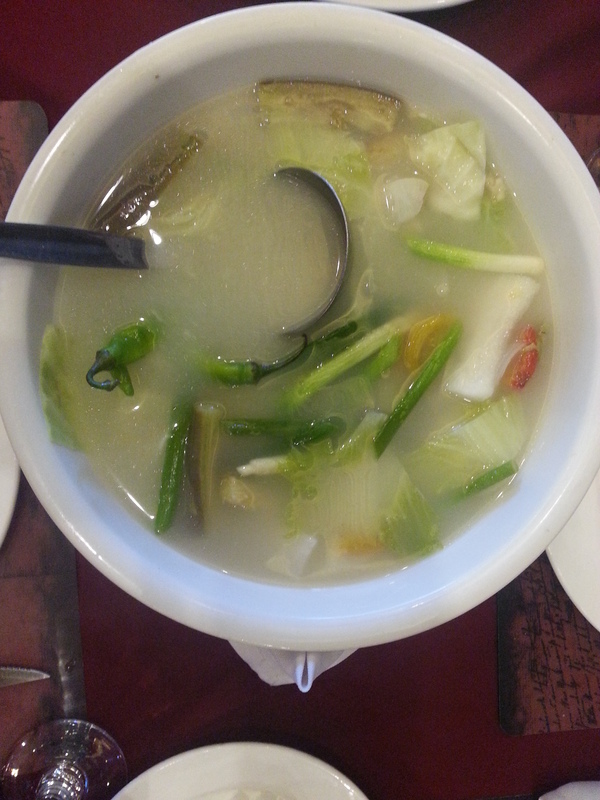 One observation though, there’s one thing that might be better in Pala-Pala than in Dampa, and that is the place. It is much cleaner and spacious, unlike in Dampa, this is only 1 restaurant and not a group of restaurants in one location. Another cafe! But this cafe doesn’t only have cakes and coffee, they also have (drumroll please….) pasta! Yes, Calea and Felicia don’t have pastas so if you want a wider range of choices, you can also consider Cafe Bob’s. 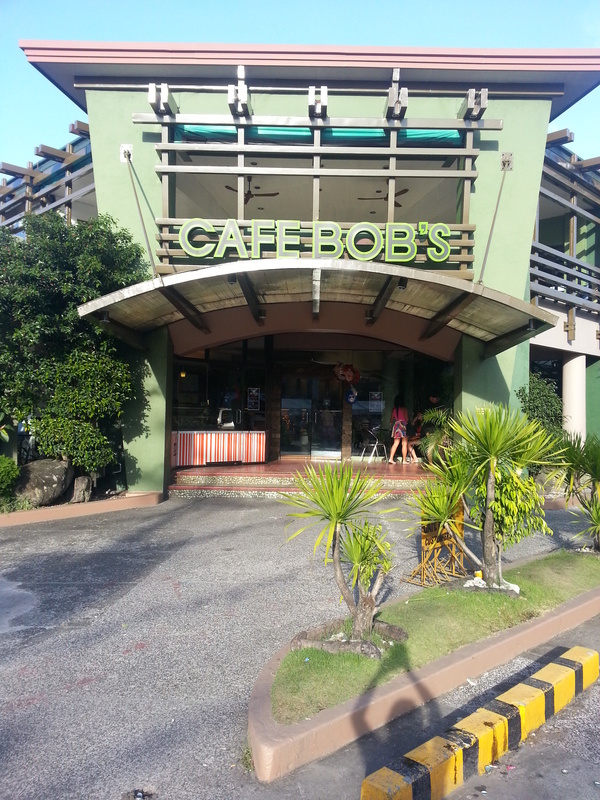 It was also in 2013 when I tried Cafe Bob’s, I can’t remember how the food tastes like. It wasn’t that exceptional (like Calea, that you would remember it and go back to it every time) but it is still a good place to try out. The ambiance is really nice and they have good cakes too! This is not one of the fancy restaurants that you’ll see around Lacson St. More of a hole-in-the-wall place. I literally laughed for around 3 mins, before I made an order. Whoever thought of their menu was a crazy genius. Hahaha. I ordered Cheezy Pepe Mu Ha. Good thing, it was a guy who was taking the orders or else it would be awkward to say, “Ate, Cheezy Pepe Mu Ha” Hahahahahah! As for the food itself, it looks like a Quesadilla. But inside it has Cheese, Pepperoni, Mushroom and Ham! It was good! You’ll get full with just one order. Awww, you’re making me miss the Philippines even more Dreia! </3 I hope the news about Manokan Country isn't true! I've only been to Bacolod once for a friend's wedding hence didn't really get the chance to roam around. Aside from Manokan Country we went to a hole-in-the-wall serving authentic Illongo Kansi.